There will be 816 exhibitors in the main venue and 1,693 exhibitors in the 7 sub-venues. With the original exhibition plus lighting malls mode, the 8 venues will gather industries and brands to promote exchanges between professionals at different levels and in different fields and deepen the integration of exhibition and trade. This fair has set up the Hall A dedicated for leading enterprises. In addition, there will be a special area for China International Lighting Design Awards, where the buyers can enjoy the award-winning works, gain a deep understanding of the design concepts and have chance to talk with the designers face to face. This fair will stick to online promotion, supplemented by offline advertising. Through multi-channel publicity and selection of quality buyers, the fair will be more professional. The fair has invited professional purchasing groups in Vietnam, Kenya, South Korea and Eastern Europe and organized the “global buyer purchasing trip” to provide free accommodation and pick-up services for star-level buyers and to accurately match them with exhibitors based on their purchasing needs. 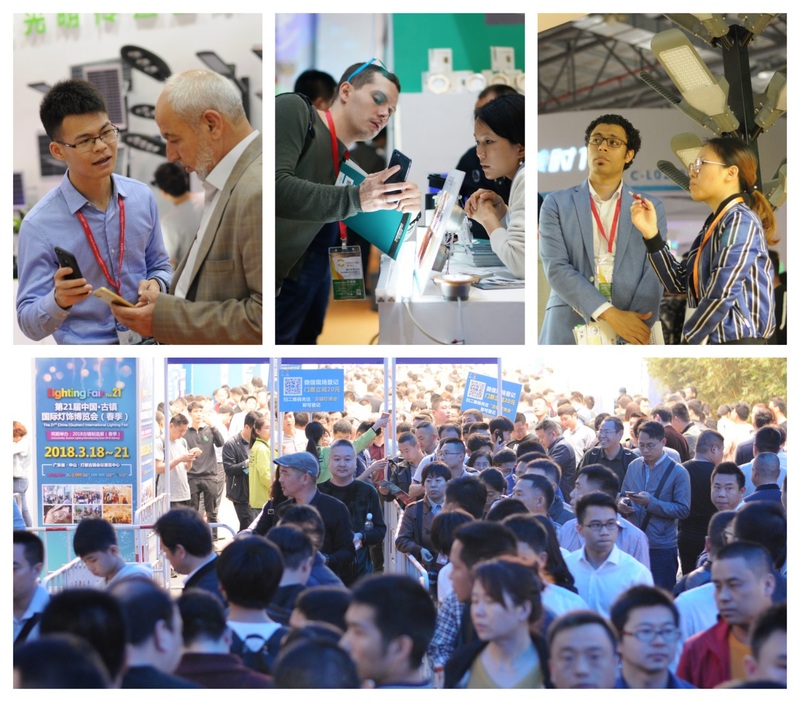 Furthermore, a Networking Party will be held for the overseas professional buyers for the first time to explore the latest industry information and realize a win-win situation for multiple sides. 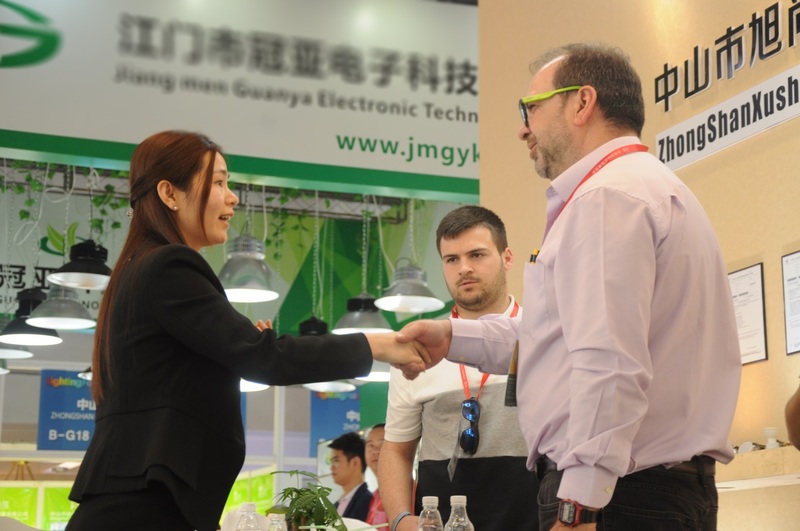 A number of conferences and forums will be held in this fair, enabling close communication between lighting suppliers, experts and professional groups and disclosing market information and trends to insiders. The "Ceremony of China International Lighting Design Awards 2018" will be held in the Lihe Lighting Expo Center on the evening of Oct. 21. Moreover, the Cross-border E-commerce Summit, with live broadcast, will be launched by Alibaba and Zhongshan Chaoyang in this fair. The fair has combined the "denggle.com" and the official website to provide various services and advertise the exhibits on line. 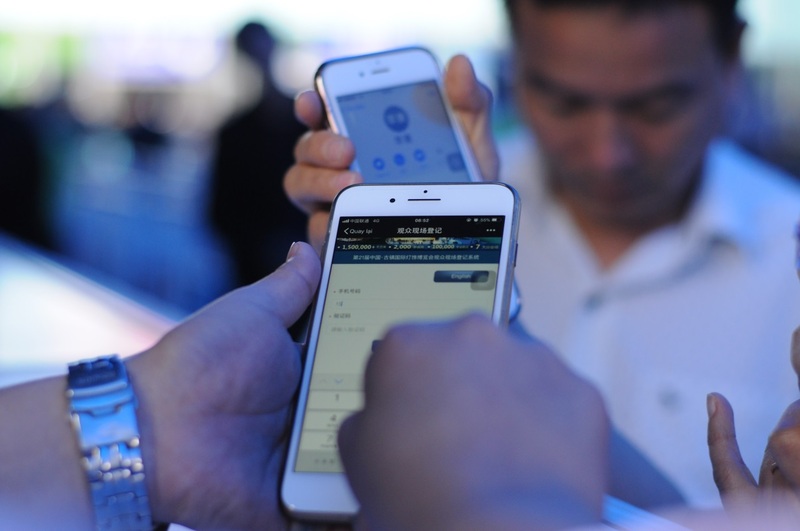 Available on mobile phones and PCs, the website gathers 2,000 famous domestic and foreign lighting enterprises, presents over 20,000 selected products, attracts 200,000 professional quality buyers, and covers 6 continents and 34 Chinese provincial regions. Free shuttles will be provided at the venues, Xiaolan Light Rail Station, Baiyun Airport and Zhongshan Port. 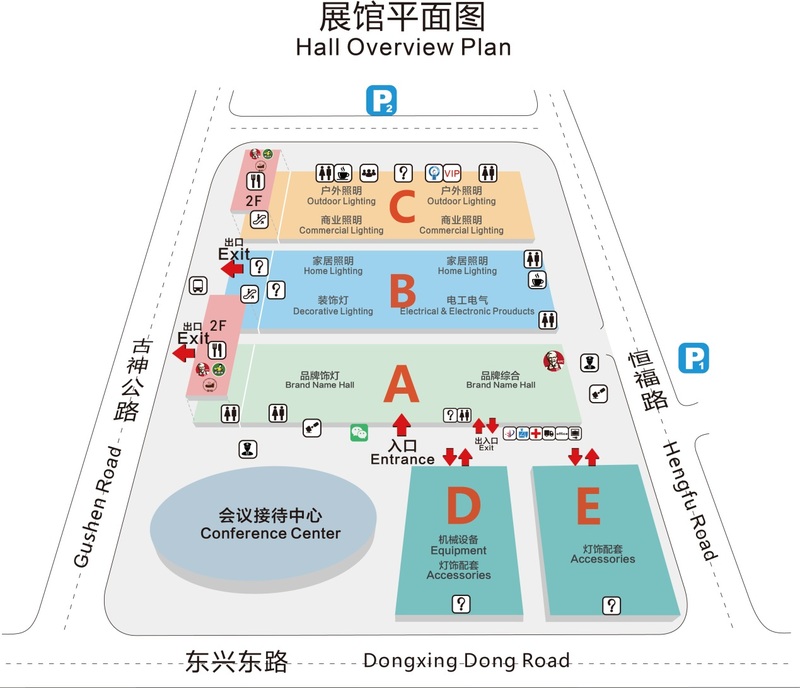 The fair will also provide professional translators, overseas buyer lounge, luggage storage, free Wi-Fi, etc. 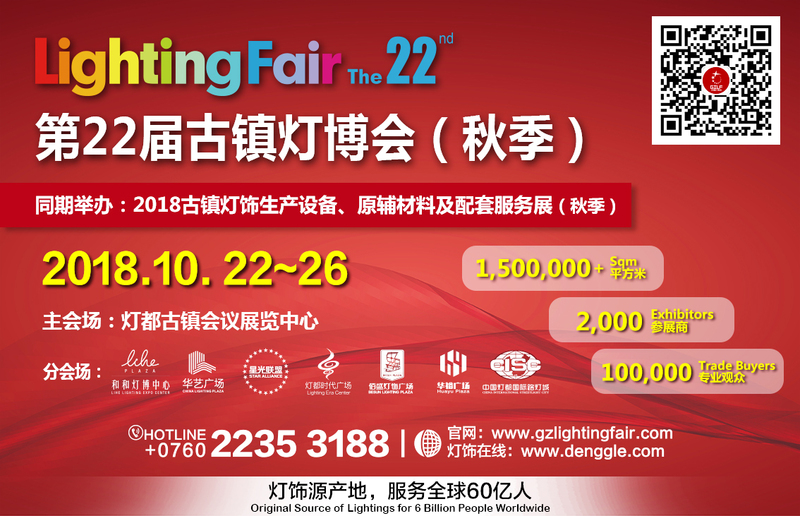 The Guzhen International Lighting Festival 2018 will be held simultaneously (Oct. 22-28) to jointly expand the economic effect of the fair, construct a new carrier for creative economy and stimulate the vitality for innovation and development of the lighting industry. Compared with the previous 21 fairs, this one has made breakthroughs in exhibition content, audience quality, conferences & activities, publicity & promotion and business travel services. Look forward to seeing you here!